Mundoo 3 River Cruiser launched in 2003, built by Duck Flat Wooden boats to a high specification. 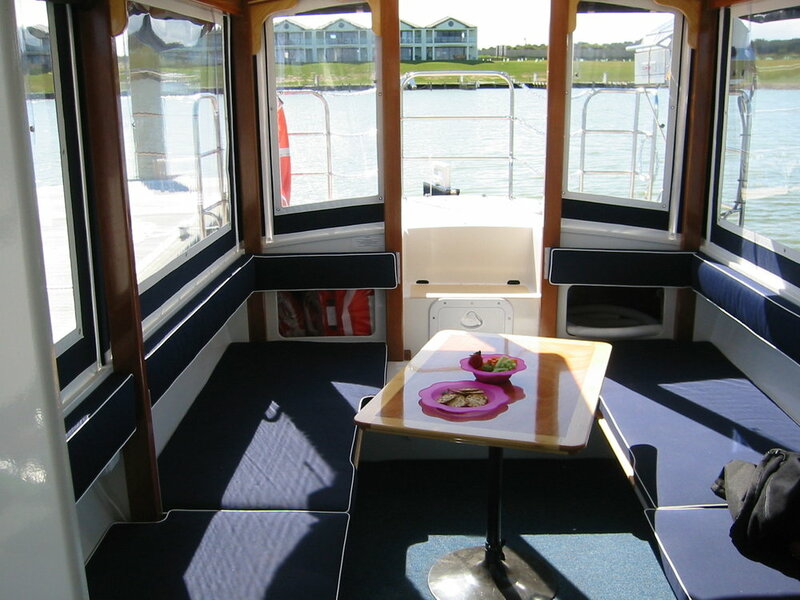 The boat is unusual in that it has been built to a Lloyds survey standard, with the vision of the original owner to use within their boat Hire Fleet, which due to circumstances at the time did not eventuate. The boat comes with a road trailer having the the ability to launch and retrieve from a variety of river banks and boat slips, bringing with it versatility in its use and location. 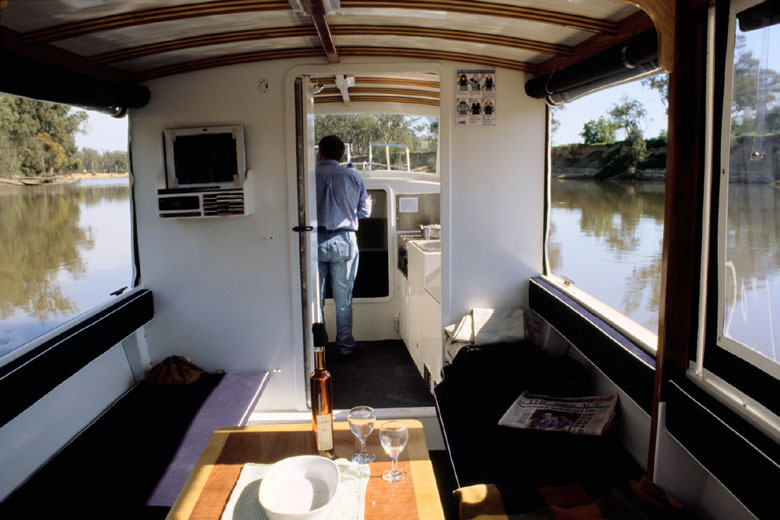 The boat is a great river cruiser with a roomy interior, large galley,shower,head and living/sleeping area. Powered by a 15HP Yamaha 4 stroke with minimul hours, equally comfortable for day trips, weekends away or extended trips on the river. 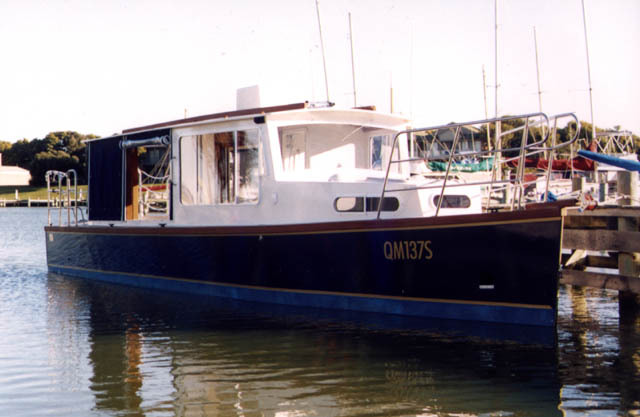 Refer to Australian Amateur Boat Builder Magazine no 44 for an extensive article on this boat. At a third of the cost of building a new boat by Duck Flat Wooden Boats without the 12 month wait this is excellent value for money..